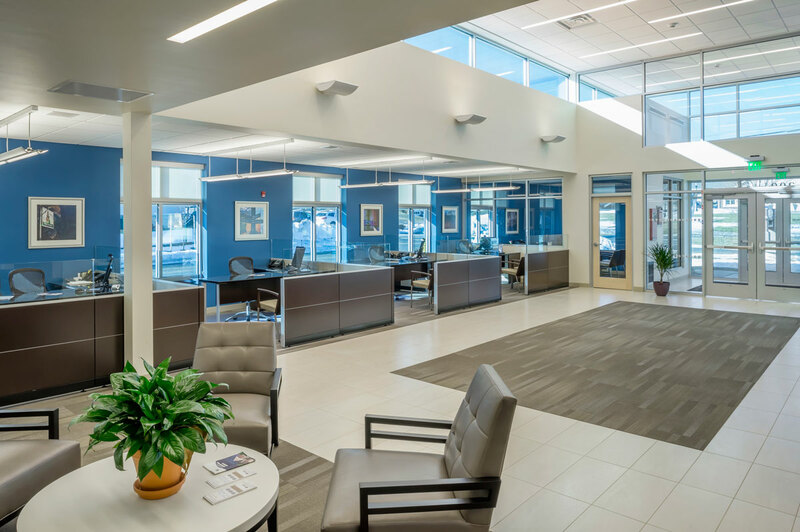 This 3,800 s.f. 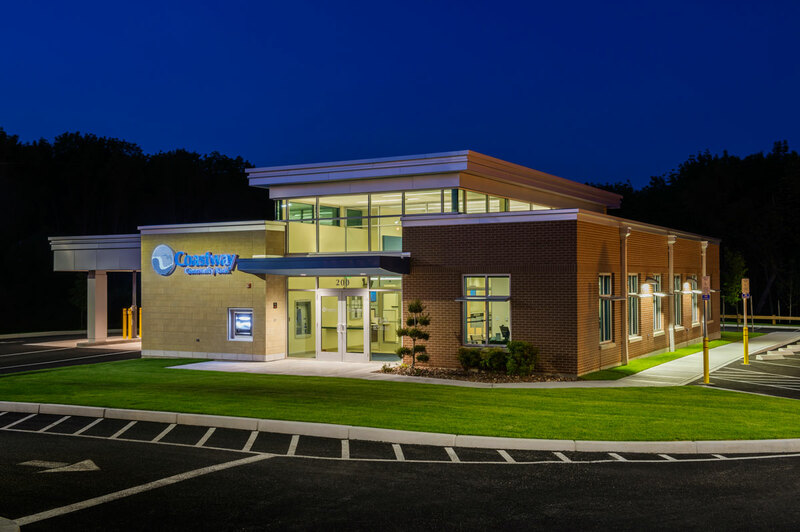 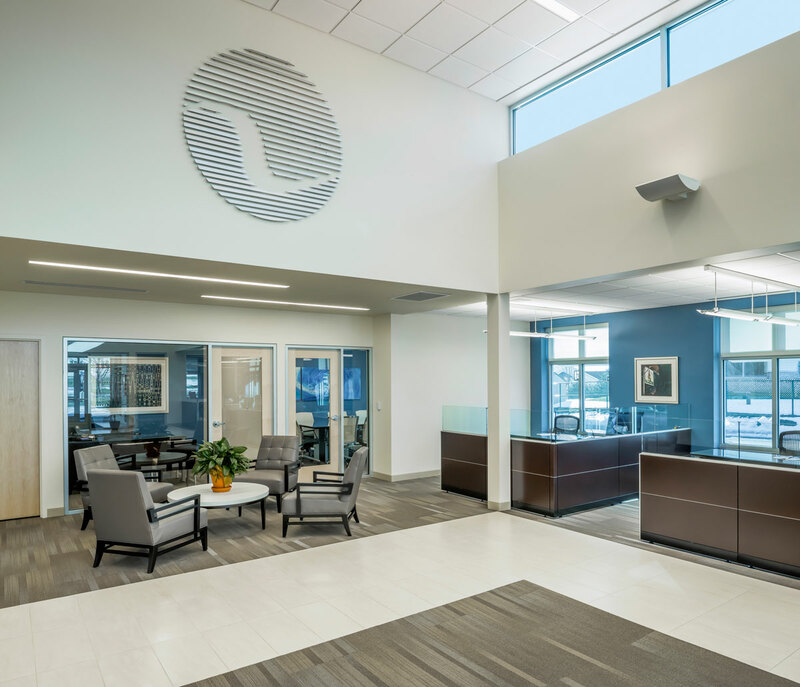 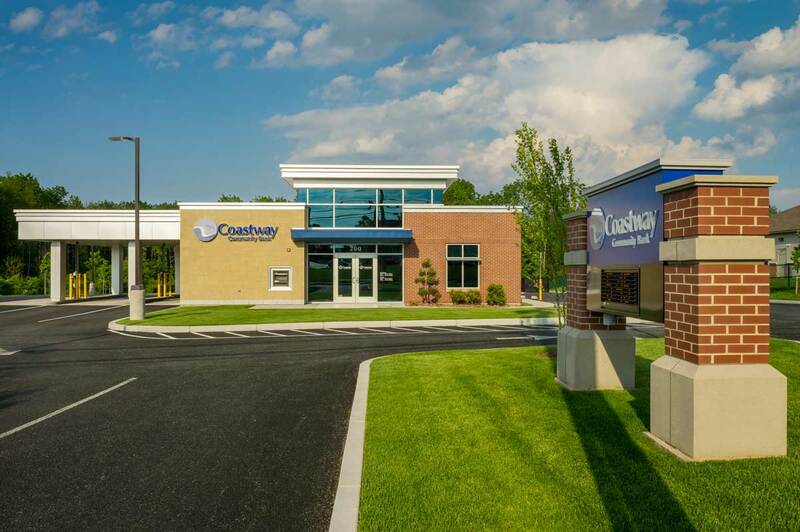 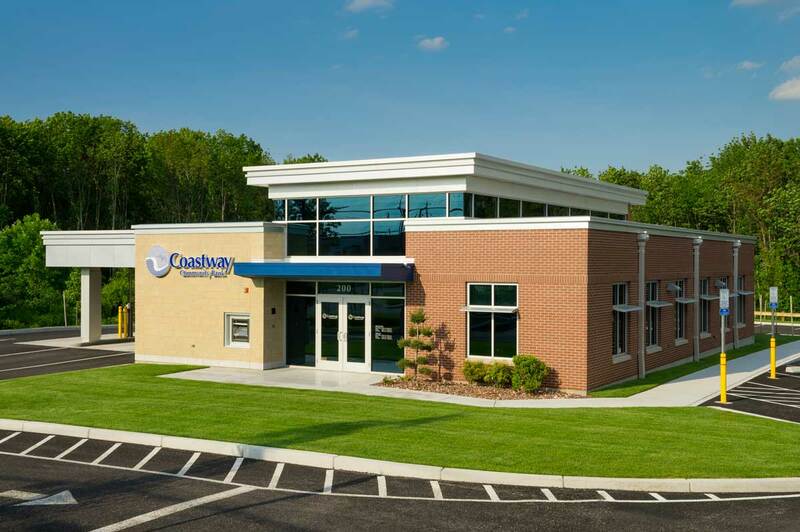 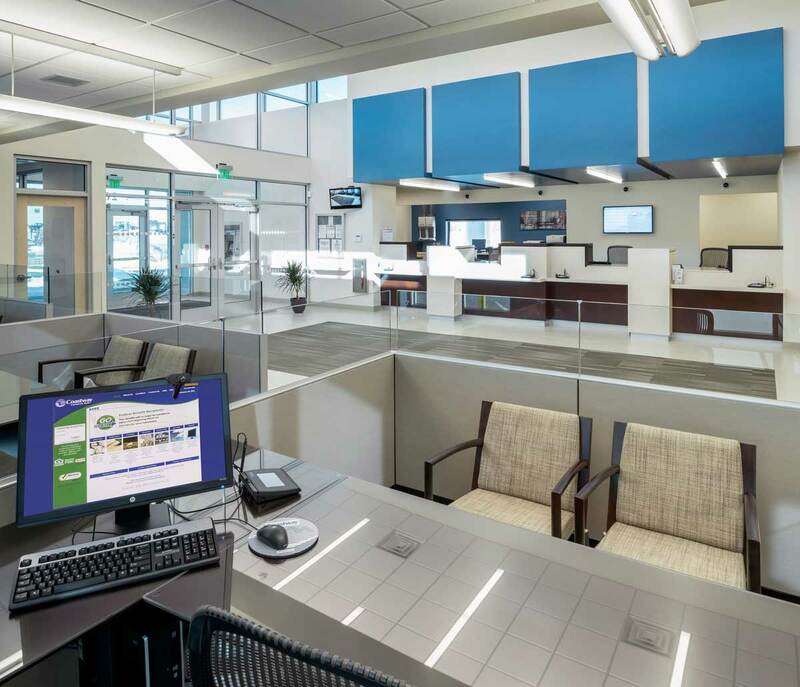 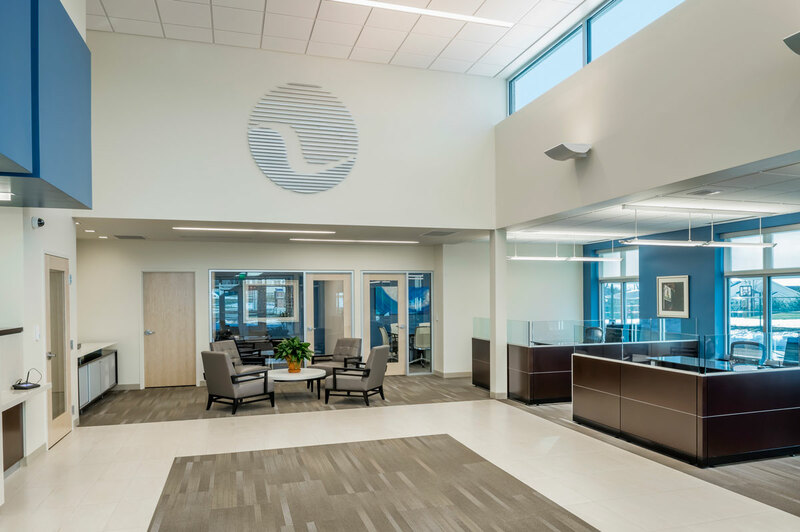 branch office is the inaugural location for a prototype design which Coastway Community Bank hopes to construct on multiple sites throughout the state in the next few years. 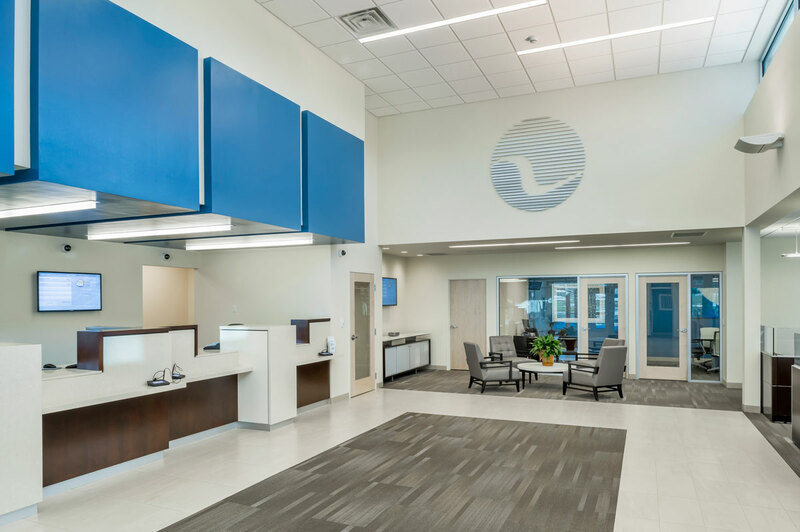 Through the use of quality, traditional materials, the design is simple yet creates a strong brand identity for the bank. 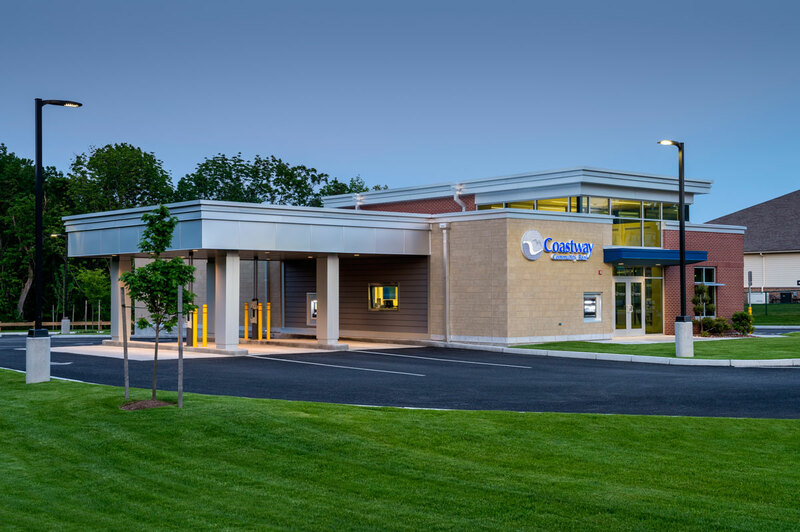 Brick, stone, and glass combine to create a building that is contemporary, yet fits respectfully into its New England suburban context. 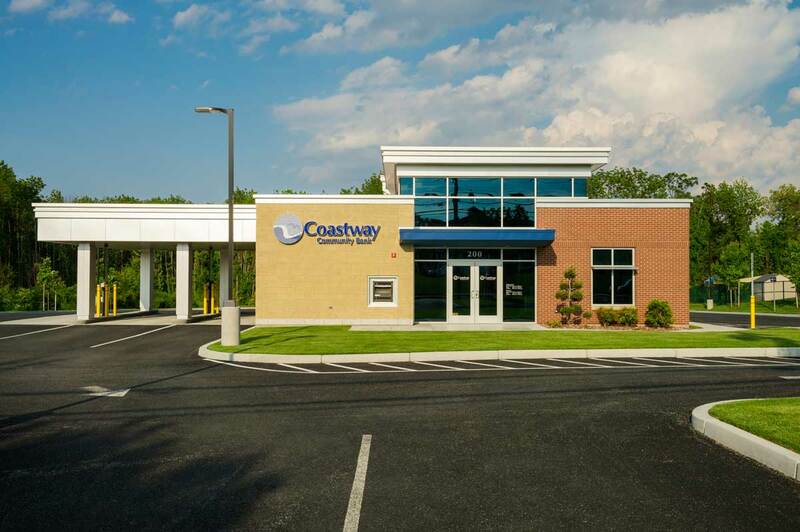 The open plan and liberal use of glass and natural light is a deliberate effort to make an open and inviting environment which reflects and suggests Coastway’s commitment to openness with their clients. 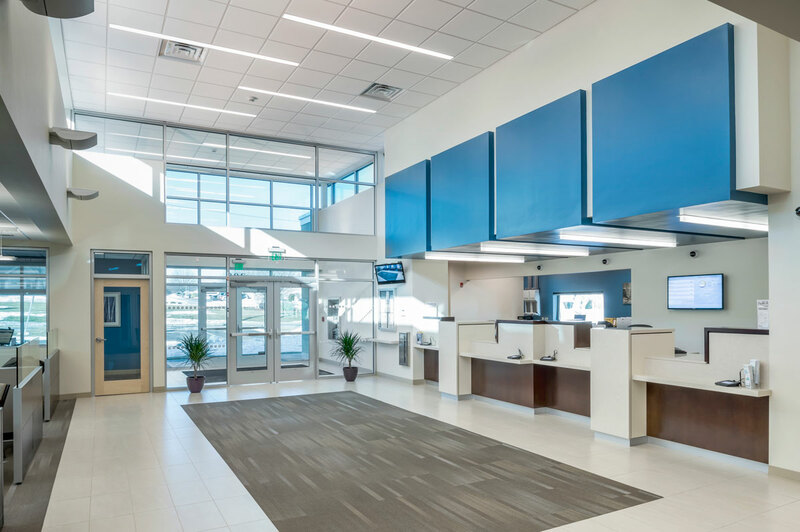 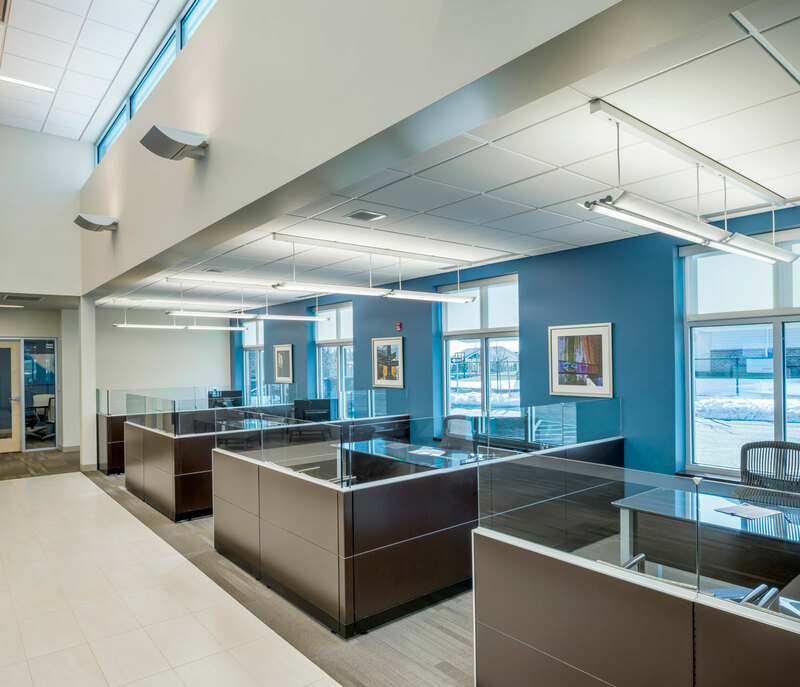 Due to the building’s orientation on the site and its southern facing high clerestory windows opposite the bank teller stations, automatic window shades were incorporated as a solution.